Betties + Baldwins are thrilled to be one of the first salons in the UK to become official providers of Olaplex! 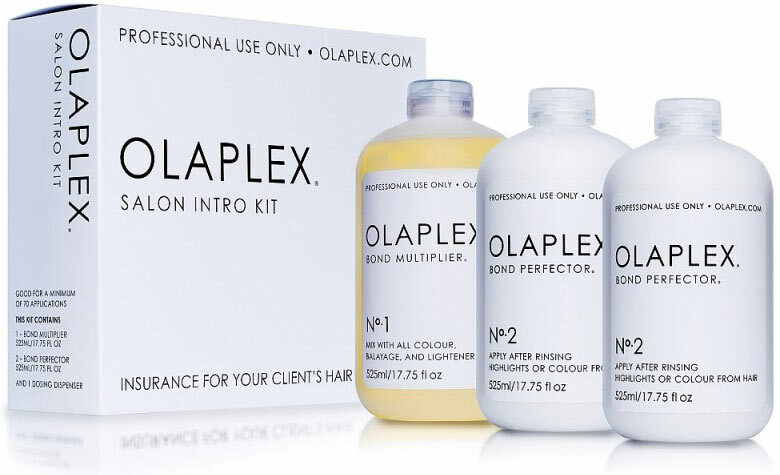 Olaplex repairs and prevents hair from damage during colouring and allows hair to lift lighter. Hair bonds are broken during thermal, mechanical and chemical services. Olaplex reconnects broken disulfide sulfur bonds in the hair and cross-links them making them even stronger. Olaplex is free of silicone, sulfates, phthalates, DEA, aldehydes, and is never tested on animals. Olaplex has a single patented active ingredient, so cannot be replicated. Accept no imitations. Olaplex is included as standard in all of our lightening services and is available as an upgrade to any colour service for £20, cutting services for £30 or as a stand alone treatment service for £50. Call us on 01172 398 347 or book online to arrange a free consultation!